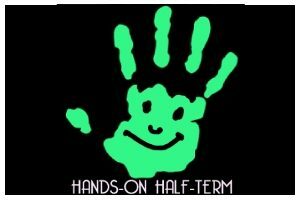 Hands-On Half-Term filled February with over 50 workshops, shows and demonstrations helping young people to think impossible thoughts and do impossible things. From sound-waves to seaweed, we aimed to entertain, inspire and educate. We’ll be back in October with the next instalment – but look out for some very special events that should be popping up before then! To see what you missed this February, click here. A fter bringing some of the world’s best science to Brighton for two weeks, the mission now is to take some out to the rest of Sussex. We roam Sussex and further afield, visiting youth clubs, scout huts, community centres, bus shelters, anywhere, making sure everyone has access to as much science as possible. Why? Because science is cool. I mean, sometimes -273.15º celsius. Al though the bulk of Brighton Science Festival takes place in February, and we’ve recently widened our horizons to Autumn, we’re also constantly on tour – visiting schools and bringing science, education, and most importantly fun to as many educational establishments as we possibly can. If you’d like Brighton Science Festival to come to a school near you, please do get in touch and let us know. Take a look at our video of Pocket Science taking over the giant geodesic dome at the Elderflower Fields festival which we filled with people, entertainment, and fun. Oh, and some science as well.